Is it Captain Crunch Chicken or Cap’n Crunch Chicken? Well, it’s probably technically the latter. But Captain Crunch Chicken is so much easier to type, so we’re going to use that. 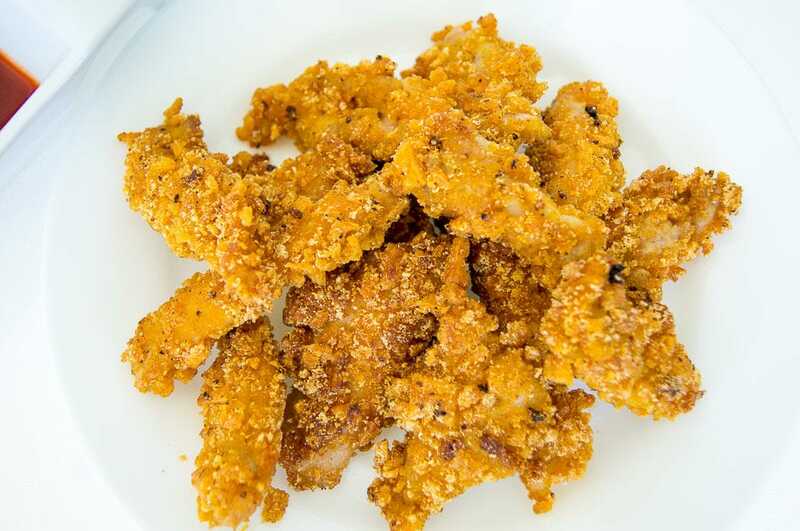 No surprises here – this recipe, first popularised by Planet Hollywood is a delicious breaded chicken recipe. But instead of using panko or any of that boring standard stuff…we’re using a delicious and crunchy cereal! 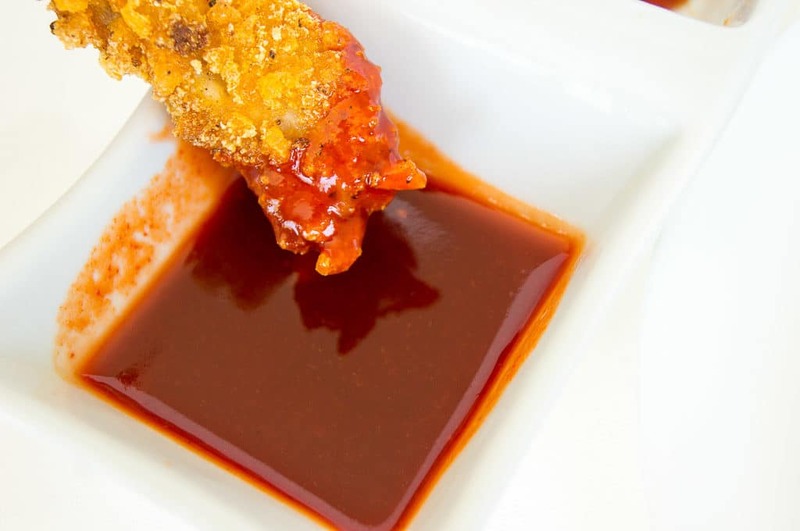 And then to make it just that much better, we’re pairing it with a sweet & spicy Maple Sriracha dipping sauce! I’ve said this many times before, and I’ll say it again: there’s something magical about the kitchen. It’s not just a place of labour. It’s a social space. It’s a creative space. It’s a place that builds memories and shapes the foundation of characters. I want to use today’s recipe as a way for us to really take advantage of some of the amazing things the kitchen can offer. No, no, bestie – put away your blowtorch. That’s not the kind of amazing I’m talking about. I’m talking about an experience. When you cook this recipe, I want it to be an experience. Not just for you, but for your kids too. I want all of you to cook together! Talk about building a production line. No, seriously. Talk about it. Let everyone in the family understand the value of teamwork. I hate this. I hate this so much. And the reason is, I don’t want to get girls out of the kitchen. Not at all. I want to get our boys into the kitchen! I think cooking is a necessary life skill. For everyone. And cooking together as a family is the perfect way to for everyone to learn. Disclaimer: Please don’t misunderstand me, I absolutely believe that girls should be educated and given equal opportunities. I just don’t believe that the idea of taking girls out of the kitchen completely, in order to initiate some sort of gender role swap, is beneficial. 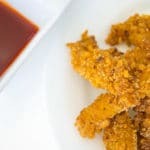 What I love most about this recipe for Captain Crunch Chicken (aside from the yumminess!) is that you can easily split the work – you’re going to make a production line. Three stations – one for flouring the chicken, one for dipping the floured chicken in egg, and the last for dipping the floured, egged chicken in the crushed Captain Crunch! And then there’s the actual cooking part. Don’t let your kids do that bit until they’re a little bit older. Because safety first! Use different hands when flouring and dipping the chicken strips into the egg. Try to make sure you coat the entire chicken strip at every station, but feel free to shake off any excess. Don’t make a mess. Nobody likes cleaning up. And once you’re done cooking this, make sure to bake these Gooey Nutella Brownies – it’s super easy, and well…you know it’s going to be crazy delicious. And I think the kids will like it too. The bit where I hurry up and get to the Captain Crunch Chicken recipe! As always, bestie, if you liked this post, then please share it (it really helps me)! Follow me on Facebook, Instagram, and Pinterest. Or subscribe for email updates. Or write me a comment telling me how you get your entire family involved in the kitchen! 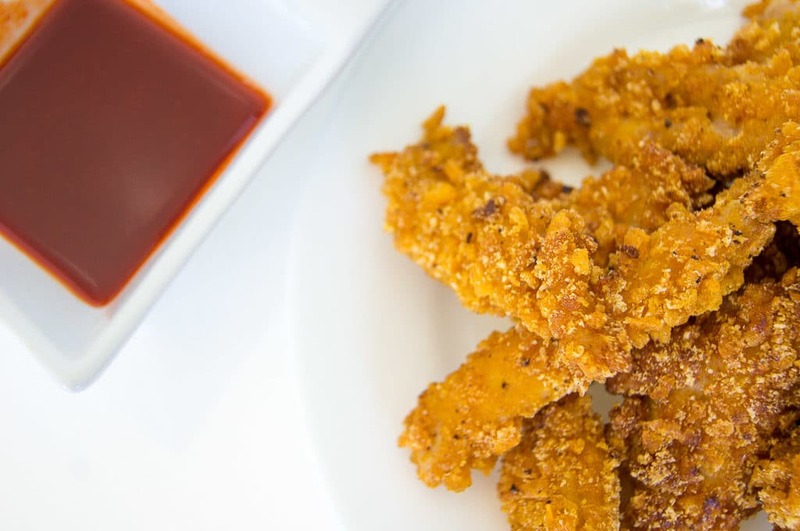 This recipe for Captain Crunch Chicken strips is going to blow your mind, bestie! It’s delicious. Served with a Maple Sriracha Dipping sauce. Whisk flour with salt, pepper, and thyme. Leave egg in a separate bowl. Put the crushed Cap’n Crunch cereal in a third bowl. Dredge chicken in flour, shake off any excess. Dip flour-coated chicken into egg until fully coated. Put chicken in into the crushed cereal and coat it completely. Repeat for all strips. Heat ½ inch of canola oil in a skillet over medium-low heat. Cook the strips in small batches until golden brown, 3 to 5 minutes, turning occasionally. Drain on paper towels and sprinkle with salt. Mix together maple syrup and Sriracha sauce. Easy peasy. I love the combination of the sweet with the spicy. Yum, maple sriracha sauce, sounds tasty! Sweet & spicy is one of my favourite flavour combinations and these sound delicious! I love the creative use of the Cap’n Crunch cereal for the breading! Thanks Jessica! 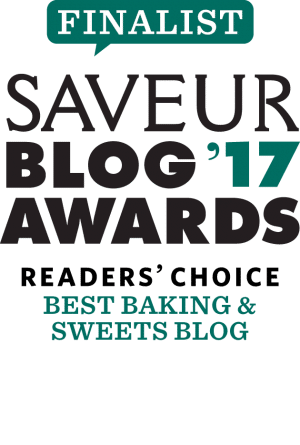 I was definitely on a sweet & spicy kick when I wrote this post! But I do love maple sriracha! These chicken strips look soo incredibly crunchy (and captain-ey??). And I love maple and sriracha together! Yum! Julia – captain-ey might be my favourite word of the day 🙂 Thanks for stopping by!